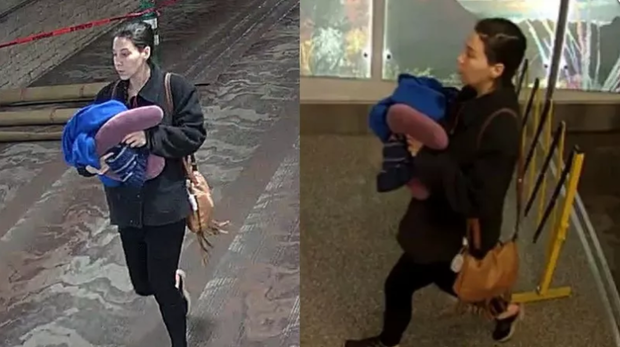 TUCSON, Ariz. -- Authorities have released photos and video of a woman who may have left a newborn infant at Tucson International Airport last month. Tucson Airport Authority officials say investigators still are trying to identify the woman, who may be the baby boy's mother. Authorities say the infant was lying on a changing table and had been cleaned and wrapped up after being born. Investigators need help to identify this woman, who's believed to have abandoned a newborn at Tucson International Airport. The video released shows a woman carrying something wrapped in a blue blanket. The Tucson Airport Authority says the woman may have given birth in a Concourse B restroom, reports CBS affiliate KPHO. She then apparently took the baby to the family bathroom in the baggage claim area to clean up before abandoning it there. According to KPHO, a note left with the baby says the mother didn't know she was pregnant and is "unable and unfit" to care for the child. 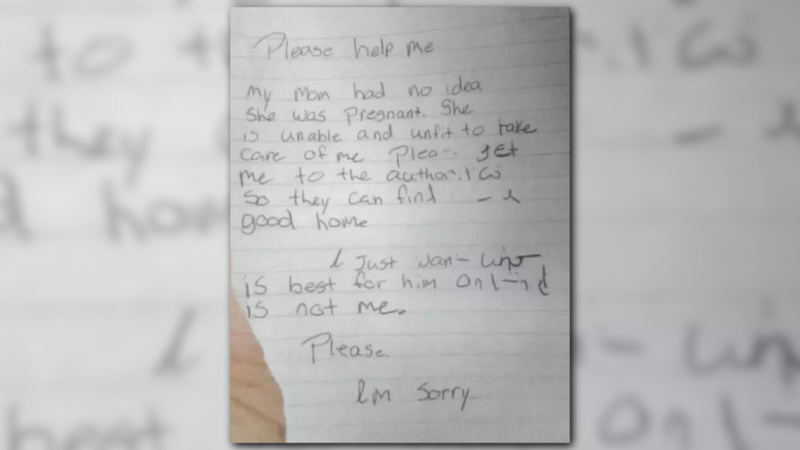 "Please help me," the note says. It begs whoever finds him to turn him over to authorities so they can find the boy a good home. "I just want what's best for him, and it is not me," the note reads. "Please. I'm sorry." Note found with a newborn baby abandoned at Tucson International Airport. Authorities say the baby is healthy and remains in the care of the Arizona Department of Child Safety. Arizona is a "safe haven" state, meaning parents can drop off newborns at designated locations like hospitals and churches if they are unable to care for them. But since an airport is not a designated location, the woman could face criminal charges.